With the Republican and Democrat party conventions in progress or upcoming, it has now become clear that the 2016 USA presidential election is unlike preceding elections in recent decades. Large percentages of those who consider themselves members of either party do not approve of their presidential candidates, for one thing. That includes more than a third of both Republican and Democrat voters. For another, both candidates have assumed positions on issues that in previous elections would have been considered anathema to the dominant ruling economic and political elites. For example, both candidates have been highly critical of US trade and free trade policies—especially Trump. Certainly Trump and his advisers know all this. One can only conclude, therefore, that Trump is not really serious about attacking free trade. He is pandering to those with a legitimate and serious real concern who have been deeply harmed by US trade policies. 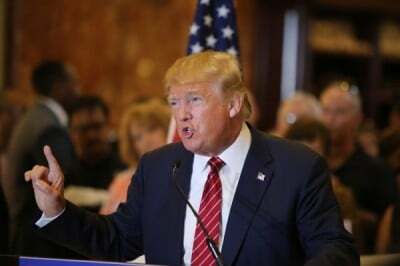 Trump is in that great US presidential candidate tradition, promising voters what they want to hear and then, if elected, doing whatever the economic elites want them to do. US presidential candidates, of either wing—Republican and Democrat—of the Corporate Party of America, are habitual liars and cannot be trusted. We had our pseudo-populist from the ‘left’, Barack Obama, elected eight years ago promising to reform free trade treaties. And he became the biggest free trade advocate in US economic history. In Trump, we have our Obama analog, a pseudo-populist this time from the ‘right’, promising the same. And who then will do the same. To paraphrase an ancient saying, US voters now considering voting for Trump based on his anti-trade views would do well to ‘Beware of Billionaires Bearing Gifts’.